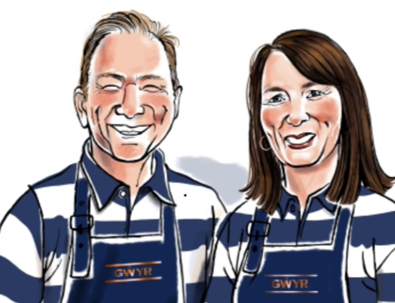 Gower Gin ('Gwyr' in Welsh) was launched in 2017 and is the flagship gin of The Gower Gin Company. The gin is produced by Siân and Andrew Brooks who operate from their distillery at Port Eynon on Wales' Gower peninsula, with their still named 'Arianwen' which translates as 'Silver Spirit'. The Gower Peninsula was the first place in the UK to be officially designated as an Area of Outstanding Natural Beauty, and it is the inspiration for the gin's recipe. Gower Gin features 8 botanicals including sustainably foraged bronze and green fennel from the peninsula, alongside traditional gin botanicals. Find out more about open days at The Gower Gin Company. For another Welsh gin try Da Mhile Farmhouse Gin and Foragers Gin. For more gins with prominent fennel try Fishers Gin and Masons Yorkshire Gin.